We have best and fresh climbing rose plant. climbing roses are best climber and creeper. climbing rose plant are fantastic for covering structures or screening unwanted views. They can also transform bare fences, walls, trellises, or backyards. Climbers rose have large flowers, similar to other roses plants, which are typically held singly or in small groups, and they usually have the ability to repeat bloom. Dig a hole twice as wide as the root spread and about 2 feet deep with the center about 18 to 30 inches from the support. If planting a bare-root rose, make a cone of soil in the center of the hole on which to drape the roots. Plant the graft union, the bulge where the top joins the bottom, 2 to 6 inches below the soil line in cold-winter climates, slightly above the soil level in warmer regions. Adjust the soil level under the plant accordingly. Water deeply, then spread compost or well-rotted manure and a handful of bone meal other phosphorus-rich fertilizer around the plant, and water again. Spread a mulch of wood chips, cocoa bean hulls, or the like around the plant, taking care not to heap the material around the rose's trunk. Roses produce more flowers when the structural canes grow horizontally, such as along a fence, than when grown vertically, as on a rose tower. When selecting a trellis, also consider ease of access for pruning and the trellis' ability to hold the weight of a full grown rose in wet and windy weather. Be sure the support is firmly anchored in the ground and strong enough for the mature weight of the plants. If growing against a building, position the trellis a few feet from the wall to allow for air circulation and maintenance. Place it at right angles to the prevailing wind or in a sheltered spot in very windy areas. plants height with pot is 1.5 to 2.5 feet and pot size is 5 inches diameter. plants nature is outdoor and love partial sun light. Required watering as per need, usualy once in 1-2 days. 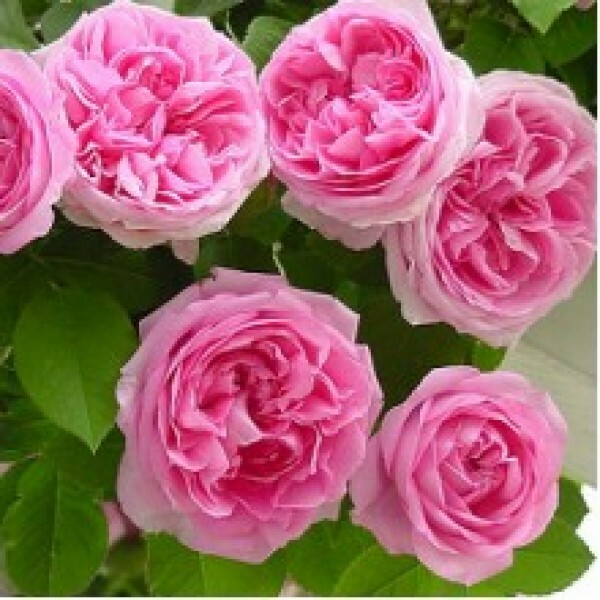 Creeper Roses are Annual Flowering & hardy plant they can add privacy in garden due to high dence leaves.